"Is what they said what you heard and is what you heard what they meant. and what about what they didn't say?" As an author, broadcaster, educator and consultant Nance has seen first-hand how words - spoken and unspoken - make a difference. Powerful conversations can quickly make a difference in the lives of individuals and organizations. Healing Conversations: What to Say When You Don't Know What to Say - is a communication handbook helping people around the world communicate more effectively during life's inevitably awkward or difficult moments. Recently released in paperback, the book has been published in China, South Korea, Germany, France, Brazil, The Czech Republic, Holland, and Sweden. Clients and organizations have given over 10,000 copies of her book to employees, customers, patients and friends. Clients ask Nance to provide workshops and executive education programs so that they maximize teamwork, go from good to great, increase creativity or overcome obstacles that are blocking them from being even more successful. Whether she is offering an entertaining, interactive, motivational keynote or is emceeing an entire program, Nance inspires audiences to learn powerful ways to change their lives and to leave the event motivated to take action. Often organizations ask her to return as speaker and emcee. Working with CEOs, founders, boards of directors, foundations, hospitals and universities, Nance provides counsel and strategic direction, assesses roadblocks, and offers targeted consulting to help an organization become more productive, achieve their performance goals and... Go from Good to Great. Nance Guilmartin is a four-time Emmy award winning journalist, business advisor, keynote speaker and leadership educator. Using a unique journalistic method of inquiry, she teaches people to succeed in times of change, rapid growth or uncertainty. Clients and audiences raise their "Communication IQ" by learning to have the important, often difficult conversations today's world demands-communicating in ways that inspire breakthroughs, foster teamwork and enable individuals and organizations to go from being good, to being great. Several breakthroughs came when she was a Westinghouse Broadcasting executive and launched the Designated Driver Program and the For Kids' Sake and Time to Care campaigns, resulting in nation-wide behavior changes and new public-private partnerships. Before entering television, she was press secretary to the late U.S. Senator Paul Tsongas. A Tufts University graduate, she honed her listening skills as a news writer at CBS radio in Boston and as editorial director at WBZ-TV. Nance's book, Healing Conversations: What to Say When You Don't Know What to Say (Wiley,2002) is published in ten languages. She gives keynotes, workshops, and emcees programs for thousands of audience participants and is often asked to return. Executives have given over 10,000 copies of her book to employees, patients and clients as a resource for having difficult conversations. Nance's Clients include: IBM, Whole Foods Markets, Florida International University (F.I.U. ), Serono-Pfizer Pharmaceuticals, Young Presidents Organization, Baptist Hospital of South Florida, Gibraltar Bank, University of Miami's Sylvester Cancer Center, The Lenox Hotel, F.I.U School of Business, Ocean Air Transportation, Harvard School of Public Health, Robert Wood Johnson Foundation, The Massachusetts Teachers Association and the Florida Board of Governors. In addition, executives rely on Nance for executive coaching for themselves and for their senior team. 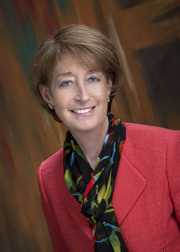 Hospitals around the Country ask Nance to present Grand Rounds and professional development programs including: Baptist Health South Florida; Covenant Health Care and the Froedert Medical College, Milwaukee; Sylvester Cancer Center, Miami; Barrow Neurological Center, Phoenix; University of San Francisco; Texas Scottish Rite Children's Hospital, Dallas; and University of Miami Nursing School. Working with neurologists in 35 cities, she participated in a national tour to empower people living with multiple sclerosis and also presented keynotes at several Women's Well-being Conferences. She teaches "communications first aid" to cancer and hospice organizations. Nance is a Trustee of AACR, the nation's oldest cancer research foundation, and is a Fellow of Florida International University's Center For Leadership. She is a Board member of PE4Life, a national children's fitness initiative and was a founding Board member for City Year, which became the model for the AmeriCorps program.